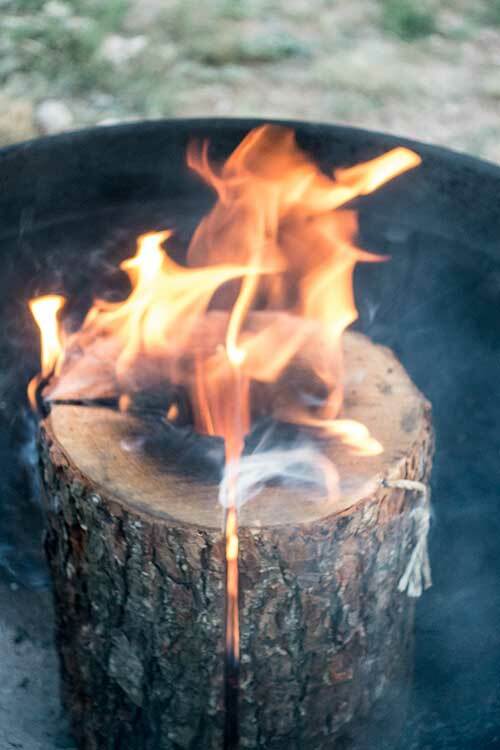 I’ve always been curious about using a Swedish Torch for a small campfire since I keep seeing them on Pinterest and Facebook. The only problem with those kind of posts is they have a tendency to tell you how awesome this new DIY idea is and really don’t tell you the bad parts. Who would click on their links if they were recommending a mediocre idea that really doesn’t save you any time or money? Being a desert dweller, with logs of any kind being a rare commodity, making my own Swedish Torch wasn’t really an option, so I never bothered to give it a try. Going out and sawing down a tree wasn’t going to happen. While doing some research for another post a while back, I ran across the Bürnie Torchie on Amazon, so I decided I’d give it a shot. The Torchie is basically a mass produced Swedish Torch with a small hole in the top with a firestarter poked into it. I decided to give that a shot. I liked the idea of the firestarter in the top because all of the posts on Pinterest and similar sites show them either lit or not lit, but don’t give much information on what it takes to light them. I don’t know about you, but I’ve never been able to set a log on fire with just a Bic lighter. Maybe I’m just not outdoorsy enough to get it done. The firestarter spoke to me. 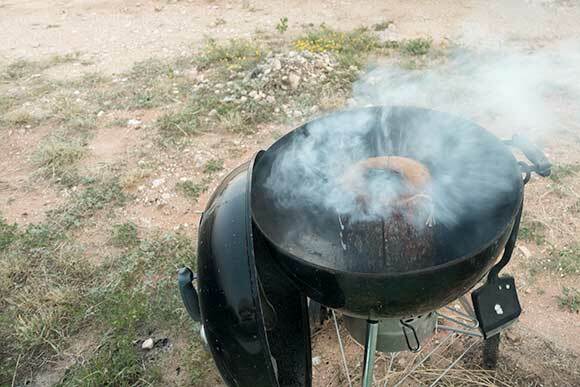 The Torchie is no match for the West Texas wind. You’ll need a well shielded spot to get it going. 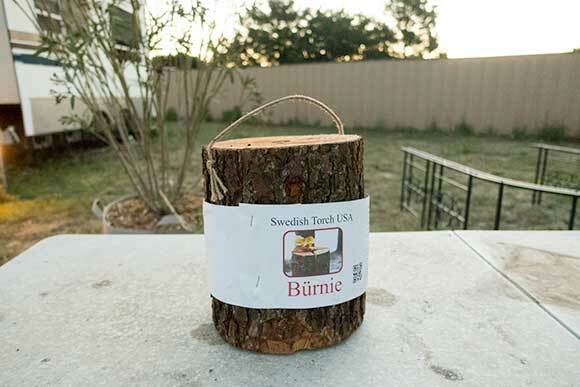 Unfortunately, the Swedish Torch was taller than the sides of my little grill, which made keeping it lit difficult until it really got going. It helps to spread out the splits in the log (I used my hatchet to add a little air space). Just don’t overdo it. You might split the log in half. 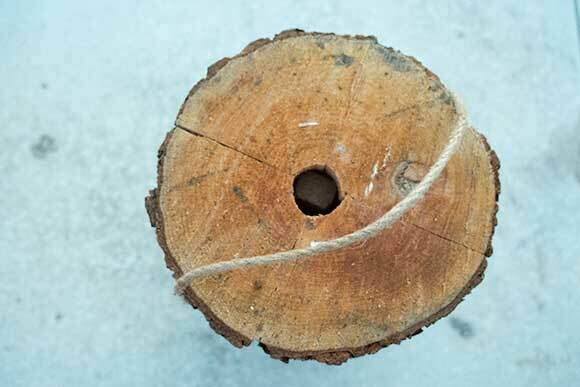 As you can see in the picture below, the splits in the log were pretty much closed. This doesn’t allow any airflow to the firestarter, which defeats the purpose of the whole thing. Once its burning it burns very well for a long time with no issues, and the flat top looks like a good spot to put a pan. While the Torchie is cool, its imperfect. The challenge is getting it out of the wind so it can have a chance to get going. If you can shield it from the wind while you get it started, it’s kind of cool. I like the idea of taking one with me on a desert outing because wood fires can sometimes be difficult to do, especially if there’s no wood laying around bigger around than your pinkie finger. It just doesn’t feel like camping without a wood fire. All in all, they look cool and, once lit, burn very well, so if you were having a get together, it could be fun to bring a couple. In the end, they’re more of a novelty than a practical replacement for a regular campfire though.